A Maverick in the Sky…………………..
As I write this, Chiron is in active conjunction with the North Node at 18+ degrees of Aquarius. As many of you know, I have been actively watching Chiron’s travels for a while. For me, this conjunction with Rahu (the vedic term for: North Node of the Moon) is a good opportunity to sweep and de-clutter the path in preparation for the ‘new earth’. Wherever Chiron goes, healing occurs………………………or not. The north node is a place and not an object in the sky. It is a symbolic moment in time/space that has no physical substance to it like the moon or mars. Think of it as a line bi-secting the earth & moon ecliptics. Nodal contacts can bring new people into our lives for new relationships and/or create so much separation between us in existing relationships that we finally (? )break apart. Because the north node always occurs with a south node it can be a little confusing to know which has more ‘juice’ at any moment. A gifted astrologer can really help here, seek one out. The rule of thumb is that the NN will lead you towards future karma or dharma, whilst the SN reflects to you more of your past karma. Since Now is the only moment that really counts the challenge is to balance the two energies and find common ground. When a planet highlights a node, as is the case today, it makes it easier to find the particular relationships in your life which are operating on a karmic level, and which aren’t. (ie. the grocery clerk who winked today, or a phone call from an old friend) Look around. Some keywords for Aquarius are: friendship, terrorists, eccentrics, genius, intuitive, future-oriented, difficulty with intimacy, objectivity, out-of-the-box, humanitarian. One might wonder why the word terrorists is on that list and that’s a good question. I will leave it for another day and I encourage you to meditate on it for the greater good of all beings. Om shanti. A forest fire is being subdued by the use of water, chemicals and sheer muscular energy. The keynote reads: the skill and courage necessary to bring under control the destructive potential fo carelessness of karmic “visitations”. Oh! I left a word off the keyword list above………Aquarius is also the sign of aliens and extra-terrestrials. Hmmm. Links tomorrow if I have the time. Our ephemeris tells us that she’s currently orbiting the sector of the zodiac labeled: 20 degrees of Aquarius. The following references are taken directly from Dane Rudyhar’s brilliant book AN ASTROLOGICAL MANDALA: The Cycle of Transformations and its 360 symbolic phases. 20 deg. AQ. – A LARGE WHITE DOVE BEARING A MESSAGE. The Keynote says: The answer of spiritual agencies to thorough, sustained and victorious individual efforts. 19 deg. AQ. – A FOREST FIRE IS BEING SUBDUED BY THE USE OF WATER, CHEMICALS AND SHEER MUSCULAR ENERGY. The Keynote says: “The skill and courage necessary to bring under control the destructive potential of carelessness of karmic ‘visitations’. A MAN’S SECRET MOTIVES ARE BEING PUBLICLY UNMASKED. The Keynote: The difficulty for the modern individual to keep secret his private past or his deeper motives. On November 15 she goes stationary direct in the 22nd degree of Aquarius. A RUG IS PLACED ON THE FLOOR OF A NURSERY TO ALLOW CHILDREN TO PLAY IN COMFORT AND WARMTH. The Keynote is: The warmth of understanding which comes to those who, early in life, are open to new possibilities. 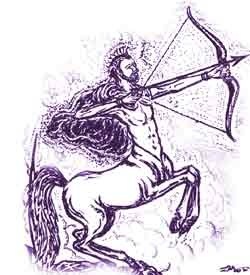 Chiron is a major player these days and usually overlooked by many astrologers. Her upcoming conjunction with Neptune has great potential for healing the wounds that bind us thru spiritual & alternative practices. 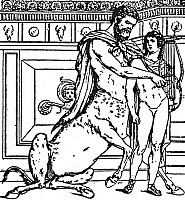 I’ve written some on Chiron in these posts for you to read. I hope to write more soon. 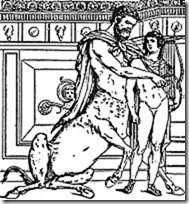 For some excellent writing on Chiron go here. Ah yes……..the time’s they are a changin……………..
CHIROS: Time has usually been considered (‘with the stars’) the realm of the planet Saturn, but in actuality, Saturn only rules one type of time–chronological time. [duration]. Chiros (Kairos) represents time that is outside that realm–time that obeys an entirely different set of laws [if it does, indeed, obey any law al all]. Chiros has even been called, ‘timeless time’. Many people have been able to enter this type of time through deep meditation. Remember that Chiron’s orbit is, for the most part, beyond Saturn, and that will assist you in contemplating a time which is not ruled by the clock or the calendar. Some great information on Chiron can also be found here and here. One fascinating way to understand the essence of something (like Chiron) is to look at the etymology of the word. Chiron comes from the root syllable, chiro which relates to the hand. Thus, chiromancy (palmistry), chirography (penmanship/calligraphy), chironomid (one who makes gestures with his hands), and of course the chiropractor who adjusts our nervous system by manipulating our spine. Chiron is the original ‘alternative’ genius. Here are more keywords that convey the ‘energy’ of Chiron. Maverick, Quest, Guide, Healing, Key, Doorway, Bridge, Loophole, Qualifier, Teacher, Mentor, Holistic Healer, Ecologist, Mentor, Rainbow Bridge, Shamen. The glyph used for Chiron is meant to symbolize a key. And it is not because the mechanism is working wrongly , that I am ill.
from the endless repetition of the mistake which mankind at large has chose to sanctify.